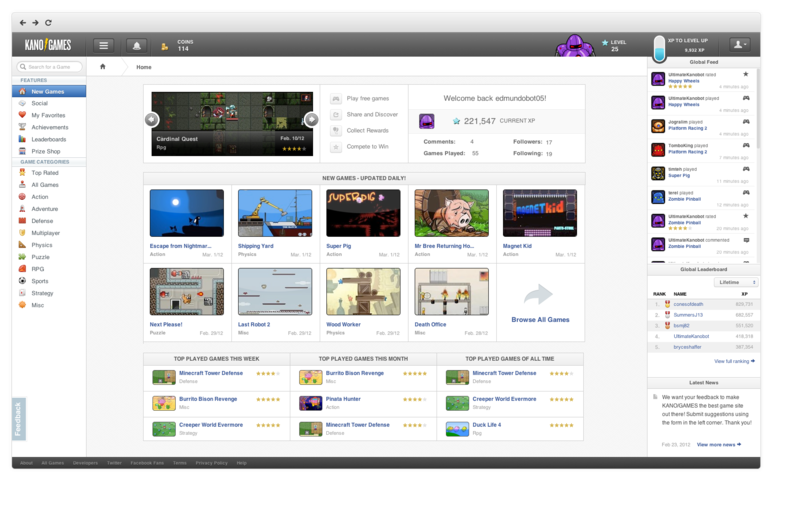 KANO/GAMES takes the traditional Flash gaming portal to another level with a complete social experience and an innovative web app feel. KANO/GAMES is a truly unique online experience that offers users the joy of collective play. KANO/GAMES (http://www.kanogames.com) is an innovative new social web app that makes it easy to play and discover the best free online games with friends. 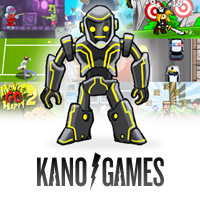 Created by Victoria, BC-based social and mobile games developer KANO/APPS in partnership with Ira Willey, founder of Addicting Games and One More Level, KANO/GAMES is built on the latest web technologies to enable players to easily find and play the games they enjoy. Players need not sign up to enjoy KANO/GAMES, but the real power of the web app comes once they create an account. This allows players to adopt a customizable KANO/BOT persona and activate the interactive social features of the site, including bookmarking their favorite games to play again later. KANO/BOTS can rate and comment on games and follow other players to see in real time what their friends are playing, all of which make it effortless to discover the most popular games. 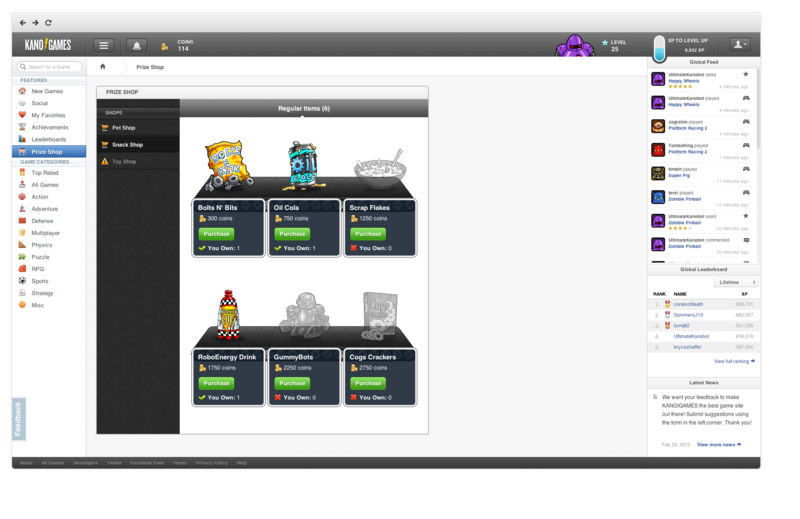 KANO/GAMES also introduces a competitive aspect and rewards users for playing. KANO/BOTS earn XP and level up by playing, commenting and rating games and by taking advantage of the app’s social aspects. At the same time they earn Coins to buy cool swag from the Prize Shops and win Achievements by hitting social and gaming milestones. Players can check the Leaderboards to see how they rank in each category against the world and amongst their friends. The more they play, the better they rank! KANO/GAMES is launching with over a thousand games and adding new titles daily. KANO/APPS is committed to helping game developers reach the largest possible audience and works hard to connect the best games with the players who love them. The KANO/GAMES API, coming soon, will enable developers to tie directly into the site. KANO/APPS couldn’t be more excited about this groundbreaking new project. KANO/GAMES is a truly unique online experience that offers users the joy of collective play. KANO/GAMES: Play, share, collect, and compete.